Last Light Studio, 9780982708422, 164pp. A high-ranking Nazi's wife and a Jewish doctor in prewar Berlin. A Jewish immigrant soldier and the German POWs he is assigned to supervise. A refugee returning to Europe for the first time and the massacre of Israeli athletes at the 1972 Munich Olympics. A son of survivors and technology's potential to reveal long-held family secrets. These are some of the characters and conflicts that emerge in QUIET AMERICANS, in stories that reframe familiar questions about what is right and wrong, remembered and repressed, resolved and unending. Erika Dreifus lives in New York City. 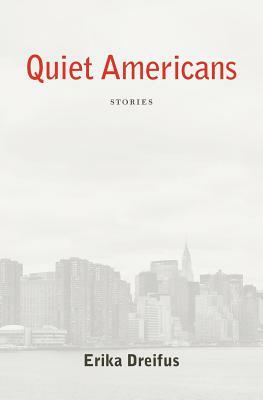 QUIET AMERICANS is her first book of fiction and was inspired in large part by her paternal grandparents, German Jews who immigrated to the United States in the late 1930s. Portions of proceeds from sales of QUIET AMERICANS will be donated to The Blue Card (www.bluecardfund.org), which supports survivors of Nazi persecution and their families in the United States.